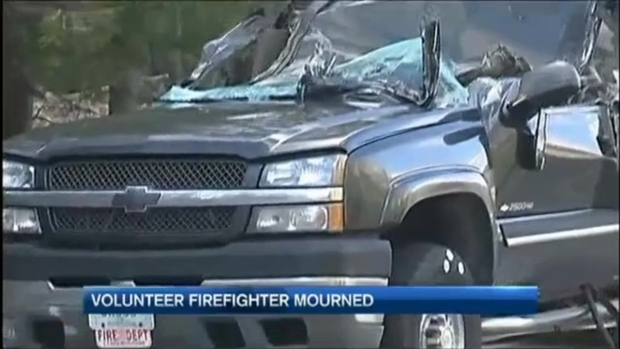 Loved ones are mourning the death of a New Hampshire firefighter who was killed Tuesday when a tree fell on his truck. Authorities identified the victim as 31-year-old Derek Lankowski of Lyndeborough. Fellow firefighters never expected that they'd be putting up black and purple bunting because of a gust of wind. Lankowski died Tuesday when a tree toppled onto his pickup truck on Route 114 in Weare. The tree landed directly on the cab of the truck, crushing the vehicle. The accident happened on his wedding anniversary. "I can't even wrap my head around it," said Lyndenborough Fire Chief Brian Smith. "If there was a split second, either which way, if there was a road delay, anything, this wouldn't have happened." 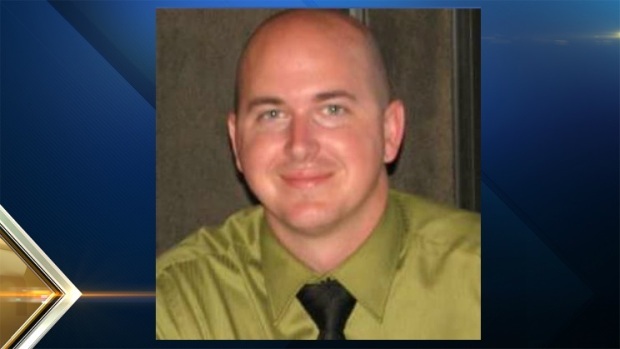 Police have identified the man killed when a tree fell on his truck on Tuesday as 31-year-old Derek Lankowski of Lyndeborough, New Hampshire. Witness Lesa Phipps says she ran to the scene after hearing the loud noise. "We saw the vehicle," she said. "There was a gentleman inside - we were trying to keep him awake and communicating with us, talking to him. He had a pulse and everything." Lankowski had served as a volunteer firefighter in Lyndeborough for the past eight years, and Lyndeborough firefighters were at the accident scene on Tuesday and stood vigil while his body was removed. "Tragic day for the Lyndeborough Fire Department," Deputy Chief Kevin Berkebile said on Facebook. 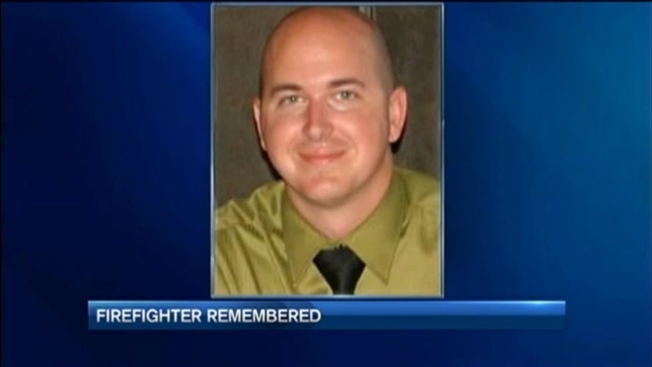 "Today we lost a firefighter, friend, and a family member due to a freak accident. "He was the type of guy that would do anything for anyone; he would always have stories to tell and got along with everyone he met. Our hearts and prayers go out to his wife, family and friends." Lankowski's body was taken to a Jaffrey funeral home. Arrangements will not be set until Thursday.